And, as is all too often the case, she was right. Right next to that doggy in the window was un Manuale Practico di WordPress. In fact, it was not so much a magazine as a guide for folks to learn how to use WordPress. It covers everything from the history of the web hosting to why use WordPress to the user interface to plugins, themes, etc. It’s fairly comprehensive, and as I was looking at it I was struck by just how prevalent WordPress is as a publishing engine. People throw around the figure of 25% of the web is driven by WordPress, and moments like today provide striking offline evidence of just that fact. I was intrigued, so I asked the news stand proprietor how much. €9? The price of a good pizza. 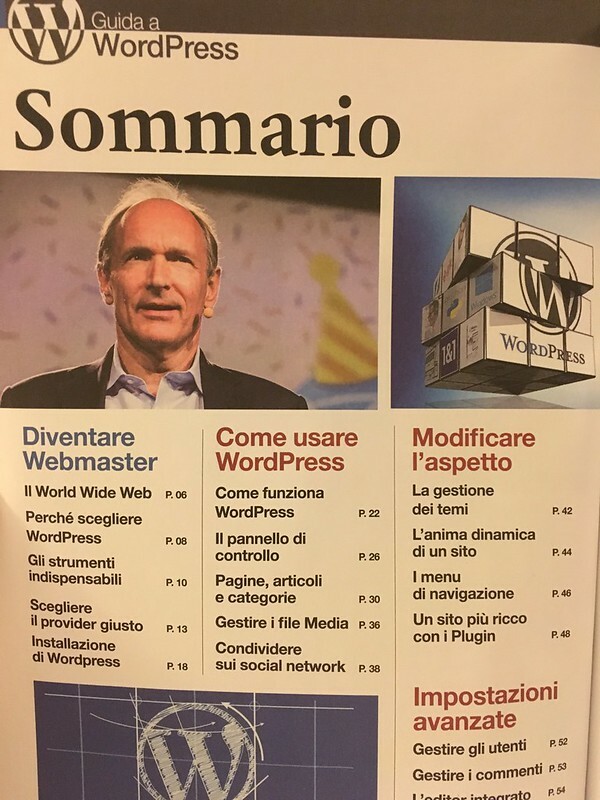 Not too bad for a fairly comprehensive translation of all things WordPress in Italian. I couldn’t resist. It’s pretty wild and satisfying to see something you played a small role in pushing out to a community of educators and students in Virginia take on a central role in empowering millions and millions of people to engage in the open web. WordPress most certainly provided me with an ed-tech career, and 11 years later it’s still the best tool out there for doing open web instructional technology. 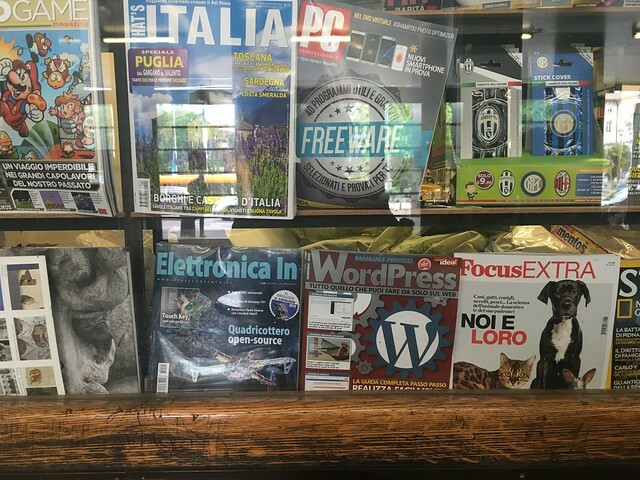 I guess this post is just to say how cool it was to see this magazine in a train station in Trento. 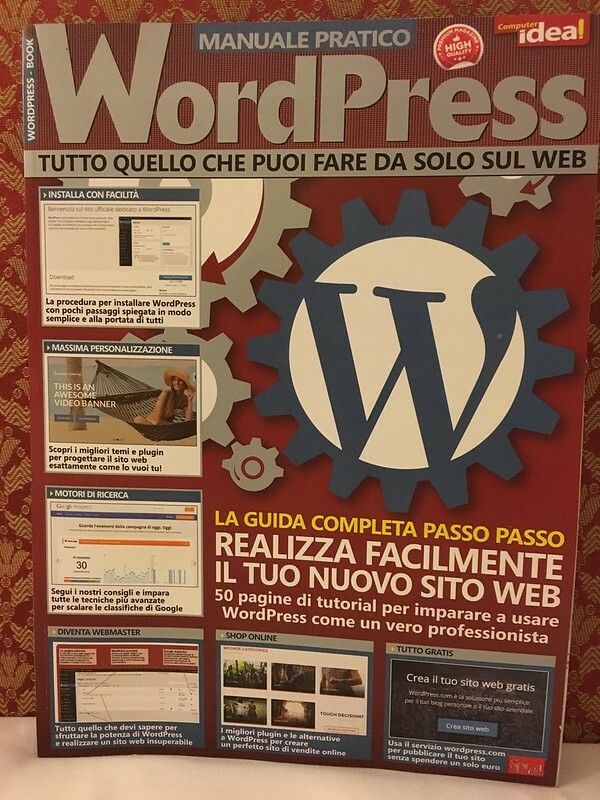 It reminded me that WordPress may be a portal into new communities here in Italy. I have a goal taking shape in my mind that I want to get fluent enough in Italian to present about edtech to a local audience in their mother tongue, or give a WordPress workshop at my kids’ school. Though, on second thought, my kids would have none of that, they are not big fans of my broken Italian! One of the best parts of being in an entirely new world is that something I have taken for granted for the last decade, like explaining the value of WordPress to people, becomes a whole new challenge. I can just imagine a whole slew of new and improved bad metaphors in a language I am not comfortable with, how could that go bad? Especially in Italian where every other word has the potential sexual innuendo. This could very well be the career ending move I have been waiting for 🙂 WordPress made me, and now it can break me! This entry was posted in fun, WordPress and tagged fun, reclaimitaly, WordPress. Bookmark the permalink. What WP sites would have been without the Bava. I was looking in the table of contents for the Italian equivalent of “Cool Guys”, hoping there’d be a section on me – what gives? I was equally disappointed, I will get with the folks in charge over here and suss this craziness out pronto! Nobody rocks the WordPress like the Gorges….NOBODY!